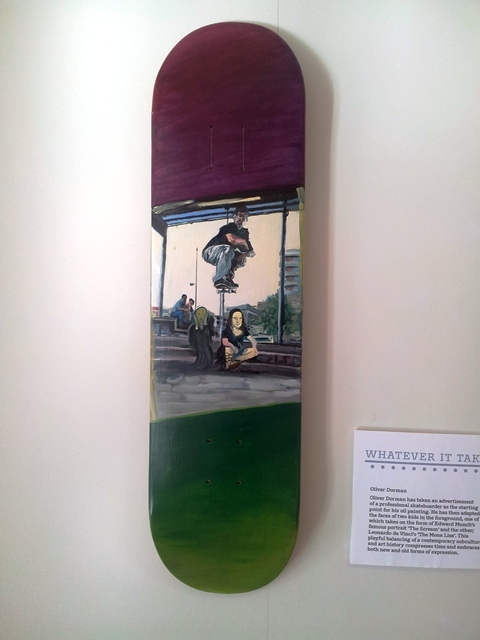 Whatever It Takes started with a competition for a Cornish skateboard, launched in 2012. It was developed with Nick Jensen, one of the country’s top skateboarders. A free exhibition at Heartlands, Cornwall put prize-winners on display for two months in autumn 2012. We worked with Claire Arymar, Neighbourhood Manager for Pengegon estate and surrounding areas, and Cornwall Community Action Network (CCAN) which runs work placements and apprenticeship schemes. Thanks to Nick Jensen’s involvement, we received a flood of designs throwing a spotlight on the life, experience and expectations of entrants who might otherwise never have the chance to express/display, any aspect of their lives to a wide audience. We launched this competition in the Camborne Redruth area where unemployment is high, as are child poverty levels. Nick, and fellow pros, donated used decks for short-listed competitors to use as canvasses. 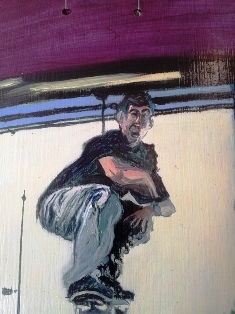 Nick painted a new board as a point of inspiration, as did Mark Foster (Fos), now based in LA, and other selected artists. These boards are now on display at Roots Skate Shop in Camborne. The competition launch This happened on 9 August 2012 at Pengegon and East Pool Park, Camborne, both of which figure within the top 5% nationally of areas of deprivation and child poverty. A local builder donated wood that was cut into deck templates and primed by carpentry apprentices. More than 50 young people enthusiastically entered the competition and painted boards. Local MP George Eustice painted a board.